Now just missing the Wooded Kingdom level, lightning lake level, Gerudo Valley and some of the final world, and I should be able to focus on the levels and ideas a bit more than the aesthetics. 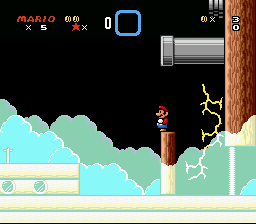 Something tells me that this romhack is going to be something special,keep up the great work! Plus I seen that satanic pentagram from that recently released Mario Game 2018 romhack! 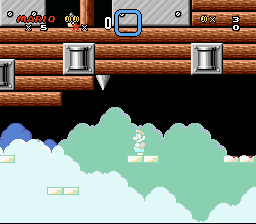 That said, it's not inspired by that hack, it's from a Super Mario Bros X graphics pack. 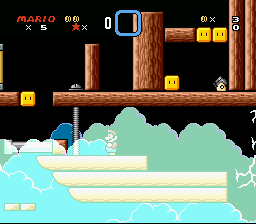 There's a surprising amount of interesting tilesets you can get in that community, and this game uses a fair few of them. Now obviously designing actual levels. I'm still eagerly waiting for this to be finished! You seem to be doing a very good job! We'll see how level design ends up! Still considering the level design a bit more for this one though, I like the new aesthetics and animations, but I feel the obstacles need reworking. Edit: Jesus Christ would you look at the date on the first post in the topic. It's nearly been 5 years, and this thing is still nowhere near done. Hopefully I get it finished in a shorter time frame than Mushroom Kingdom Fusion (at least 12 years) and Brutal Mario (at least 13 years).